Suitable for domestic or commercial environments, the Obexion SR2 Roller Shutter has been designed to combat attacks from intruders using bodily force and medium sized mechanically advanced tools. 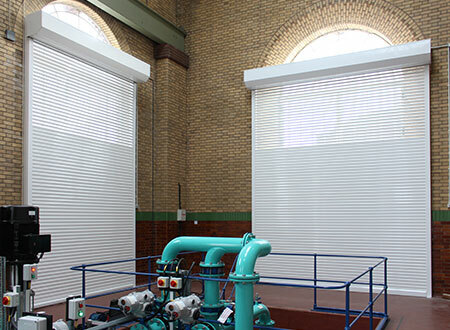 The Obexion SR2 Roller Shutter has a unique tested and certified perforated shutter curtain profile, which is ideal for commercial properties, when ventilation is needed or where planning requests that vision is possible through the shutter. 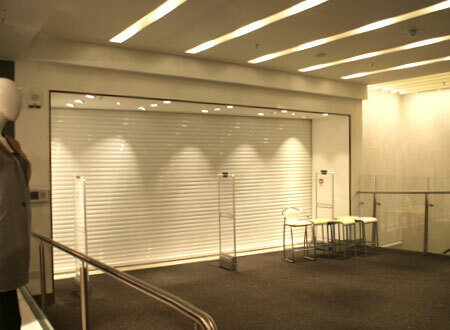 The Obexion SR3 Roller Shutter is generally used in commercial areas that are at high risk from being attacked by intruders using bodily force and a wide selection of attack options. Most SR3 Roller Shutters require additional auxiliary locking, which is manually put in place once the shutter has been lowered. 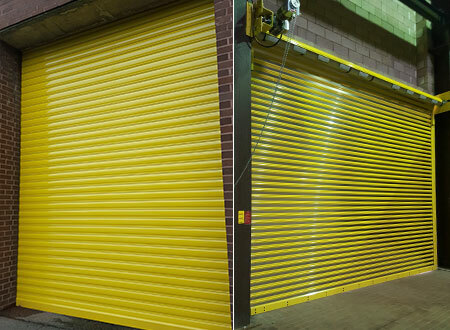 This action means that the roller shutter can only be operated manually. However, our unique Lockdown technology, which is included in every Obexion Roller Shutter, means it can be operated externally. This means the shutter can be used on first points of entry and ensures the shutter is never left in an insecure position through an incomplete locking procedure. The Obexion SR 4 Roller Shutter is designed for very high commercial applications and can resist sustained and experienced attempts at forced entry from a range of hand and power tools. Using the Lockdown technology, the Obexion SR 4 Roller Shutter doesn’t require auxiliary locking to maintain it’s security rating and ensures its never left in an insecure position. This facilitated operation of the shutter as a first point of entry. 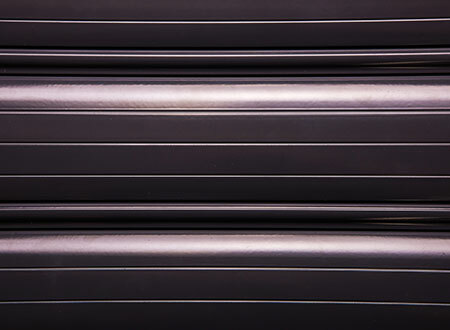 The Obexion SR5 Roller Shutter offers a dramatic increase in security to that of the SR4 Roller Shutter. The addition of the 18V Reciprocating saw and 18V power for all the electric tools, requires much greater resistance during the 10-minute attack time than the LPS 1175, issue 7 SR4 security level. Its range has been designed to protect it against sustained and professional means of attempted entry using an extended range of hand and performance power tools. The Obexion SR5 Roller Shutter uses Lockdown technology so auxiliary locking to maintain its security rating is not required. The use of Lockdown technology also facilitates operation of the shutter as a first point of entry, which others would not be possible. This product has been designed to protect sites of extreme sensitivity, risk or national importance.